Friends Lists – These can’t be seen or shared publicly and you can only add personal user profiles to these lists. Interest Lists – These can be searched for and shared publicly if you choose. You can also add any profile or page that you wish to these lists. 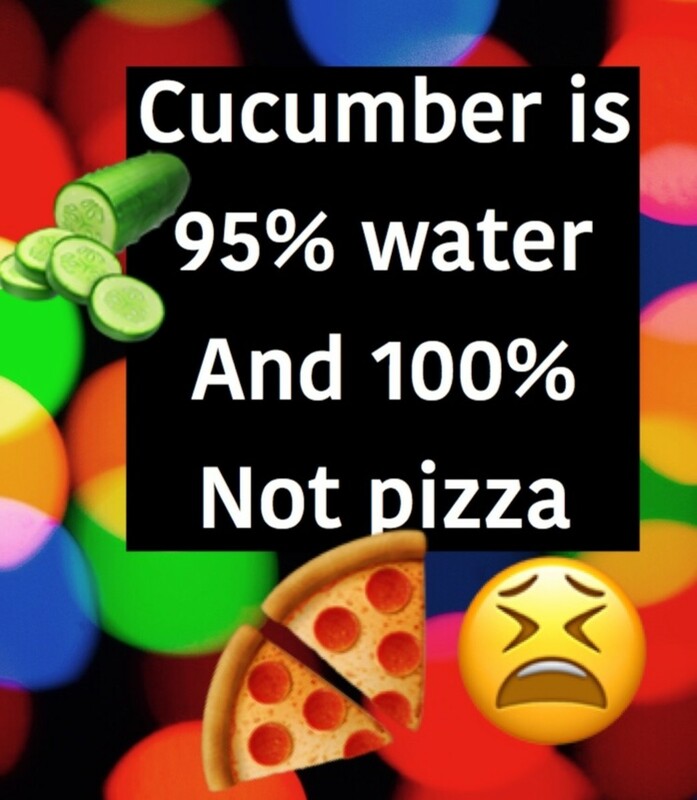 You can use these lists to either keep track of a certain group of friends or pages (each list will be a unique newsfeed of updates from whoever/where ever you choose) and also to choose who you share updates with. The lists can be found in the left hand sidebar on your Facebook home page. You can create a list specifically for people you want to talk to, using the friend's lists. In your chat bar at the bottom right of your Facebook screen, you can click on the cog wheel and then on advanced settings. Click on "Turn on chat for only some friends..." and then enter the name of the list. 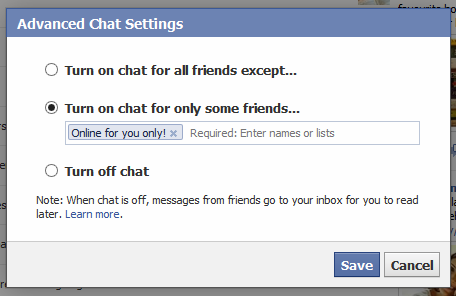 This will show you as online on Facebook chat for any friend on that list, but for none of your other friends. 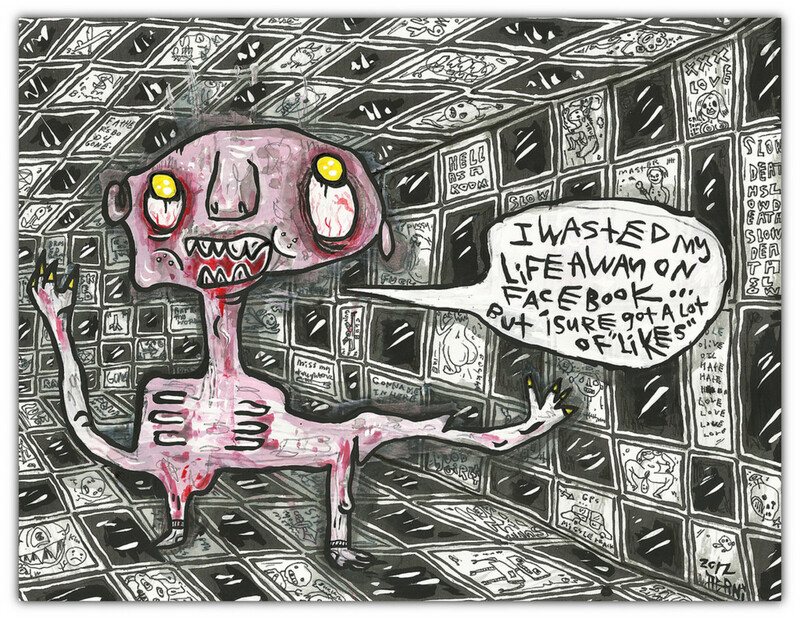 Ever added someone because you felt obligated, even though you really didn't want them seeing your personal posts and photos? 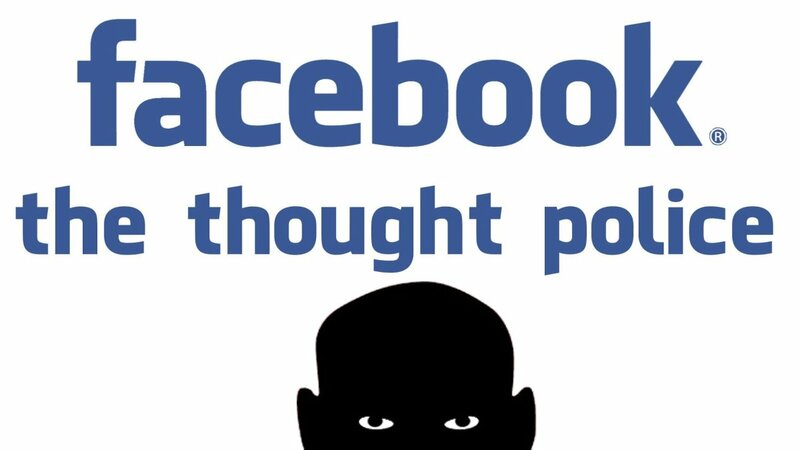 Now you can be friends and still maintain your privacy! 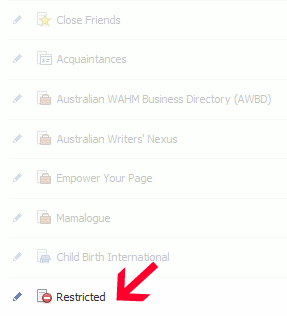 Every Facebook account comes prepopulated with some lists in the Friends section, and one of these lists is called Restricted. You can add a person to the Restricted list either from the list section or from visiting their profile, mousing over the "friends" button and clicking on "Add to another list..." and clicking "restricted". Any person on your restricted list can't see any personal posts or information shared with friends and will see the same profile as a person who is not friends with you. This way you can maintain your privacy, they're still on your friends list and you can still instant chat with them if you wish. 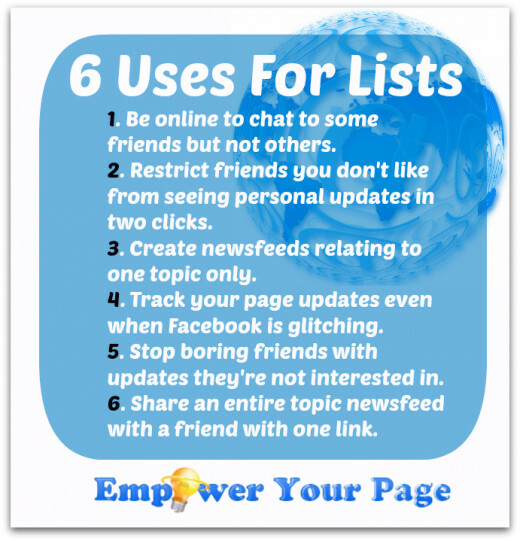 Using interest lists, you can clear pages out of your newsfeed if you're finding it's too full of posts from a variety of topics. Simply create a new interest list around a particular topic and add all the pages or people you follow on that topic. If you wish, you can then remove those pages from your newsfeed - but don't forget to check your interest lists regularly if you do this, as you may miss out on important updates otherwise! If you run a business page, chances are that you've experienced the first of the month glitch where your latest posts stop appearing on your timeline, or disappear for awhile. You can use interest lists to make sure that updates are still appearing in feeds ok and check on what interactions they're receiving. Simply create a new interest lists with your page name and then add your page as the only one on the list. You'll get a newsfeed that shows nothing but updates from your own page. You can use friends lists for an easy way to share information with the right people, without boring friends who aren't interested. For example you may have lists called "Motorbike friends", "Work Friends" and "Family" with the appropriate people added into them. When you share updates with a particular list, no one else but those who are on the list can see those updates. Tip: You'll be able to tell when other people are sharing just with lists or custom settings by the cog wheel that displays in the privacy settings section at the bottom of each post. Do you have a particular interest in a topic that you know another friend shares? By creating a public interest lists, you can add as many pages as you wish to the list and then share the link with your friend. If they follow your list, it will appear as a blue list in their interest lists section and they can follow all the same updates that you do. Anytime you add or remove pages from the list, it will automatically change on your friends list.